Thompson (Wm.) 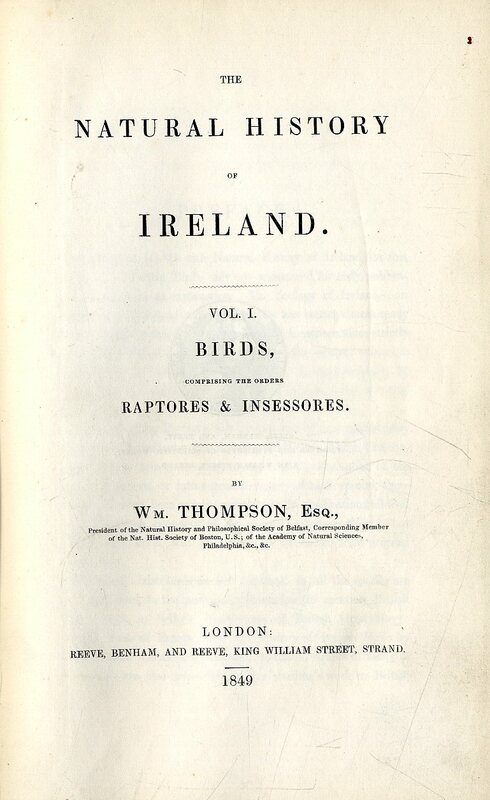 The Natural History of Ireland, 4 vols. (Complete) 8vo L. 1849. First Edn., cloth.